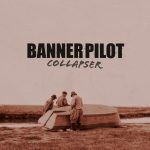 Banner Pilot‘s second full length and first on Fat Wreck. I think we definitely hit our stride on this one and the songs have more variety to them than the previous stuff. Maybe our best album and a good place to start.